Traditionally, the preparation and dispensation of Traditional Chinese Medicine (TCM) is time-consuming and inconvenient and requires the storage of raw herbs by the Chinese medicine practitioner and the boiling or decocting of raw herbs into a liquid form for patients’ consumption. PuraPharm has modernized the manner in which TCM is manufactured, prepared and consumed by offering a broad range of CCMG products for easy and immediate consumption. Our Concentrated Chinese Medicine Granules (CCMG) products are traditional Chinese medicinal herbs extracted into granules by using modernized extraction and concentration technologies to replicate the traditional method of preparing medicinal decoction. Standardized concentrated Chinese medicine granules should have the same degree of curative efficacy, taste, aroma and flavor as in traditionally-prepared medicinal decoction. It should also dissolve in hot water instantly. 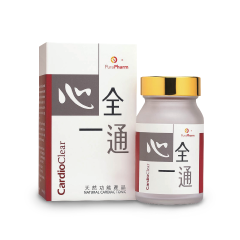 PuraPharm is a leading Hong Kong-based Chinese medicine company primarily engaged in the research and development, production, marketing and sale of concentrated Chinese Medicine granules (CCMG) products which we market under our brand “Nong’s® (農本方)”. Nong’s®, the only state-licensed concentrated Chinese medicine granules brand in Hong Kong #, is the official supplier of instant Chinese medicine granules to Hong Kong’s hospitals and healthcare institutions. Nong’s® has been supplying concentrated Chinese Medicine Granules to the majority of hospitals in Hong Kong since 2004, and is now the largest supplier of Concentrated Chinese medicine granules (CCMG) in Hong Kong with a leading market share of 70% *. Our customers include major hospitals and Chinese medicine clinics covering 18 districts throughout Hong Kong, as well as Non-Government Organizations (NGO’s), Chinese medicine clinics of HK’s major universities, TCM clinics, specialized pharmaceutical and general retail chains and private TCM practitioners, who in turn prescribe our CCMG products to patients. In addition, PuraPharm also sells our CCMG products under the Nong’s® (農本方) brand, to mobile clinics operated by our non-profit organization customers. Nong’s® also collaborates with major institutions in clinical researches and studies and has received recognition on its efficacy and quality. Today, Nong’s® is the most popular concentrated Chinese Medicine brand being used in HK hospitals^. PuraPharm commenced the sale of our CCMG products in China in 2006 by selling directly to our customers in China as well as to third party distributors who then resell our products to hospitals and medical institutions. Our extensive sales and distribution network covered over 300 hospitals and medical institutions across over 20 provinces, autonomous regions and municipalities in China. We partnered with Sinopharm International (a Hong Kong subsidiary of Sinopharm Group Co. Ltd.), one of the largest distributors of pharmaceutical and healthcare products in China, who distributes our CCMG products in China through their strong and nationwide pharmaceutical distribution network and its full range of logistics services to further extend our product distribution reach in China. The first CFDA-licensed CCMG product manufacturer equipped with a testing laboratory which is certified by CNAS in accordance with ISO 17025 standards and a manufacturing facility which is GMP-certified by the international Therapeutic Good Administration (TGA) of Australia. Our “Nong’s®” range of CCMG products is complimented by our proprietary, integrated and comprehensive diagnostic clinic management and drug dispensing system, Chinese Medicine Clinic Management System (CMCMS), offering a total and complete solution in Chinese medicine products and services, which we sell to qualified Chinese medicine practitioners in hospitals, clinics, universities, research institutes and other medical organizations for prescription purposes. Our CMCMS automates the entire service process of a TCM clinic from patient registration, organization of patients’ medical records, medical diagnosis, prescription processing and inventory management to CCMG product dispensation. Following consultation with a patient, a TCM practitioner using our CMCMS is able to prescribe accurately ready-mixed dosages of different CCMG products in a single sealed packet for easy, safe and immediate consumption. Nong’s® CMCMS provides a solid platform for future evidence-based research in the modernization and internationalization of Chinese medicine. Nong’s® Concentrated Chinese Medicine Granules coupled with its Clinic Management System provides a total and complete solution in Chinese medicine products and services to professional Chinese medical practitioners and patients. * In term of prescription revenue in 2014 according to the Euromonitor Report. # Manufacturer of Nong’s® is the only Hong Kong-invested company approved by China Food and Drug Administration (CFDA) to produce and supply Chinese Medicine granules. PuraPharm has been a pioneer in the modernization of Chinese medicine and our strong research and development capability has been critical to our success. We are the only CFDA-licensed CCMG product manufacturer who has received USP verification of its CCMG products according to the U.S. Pharmacopeial Convention (USP). We also collaborate with the USP in the standardization of CCMG products. We are also committed to the establishment of quality industry standards for CCMG products through our co-operation with local and national governments, leading international universities, TCM industry associations and other CCMG product manufacturers licensed by the CFDA. In particular, we have been selected by the Chinese University of Hong Kong to collaborate with them on a series of projects targeted at the material characterization of over 500 raw Chinese medicinal extracts. In 2002, in recognition of our research and development expertise, we were selected by the State Administration of Traditional Chinese Medicine (SATCM) of China to undertake the CCMG combination formulation research project to review and advise on the use of CCMG combo formulae products in China. We are the first CFDA-licensed CCMG product manufacturer qualified to issue safety reports recognized by over 70 countries around the world through our in-house CNAS ISO 17025 laboratory.